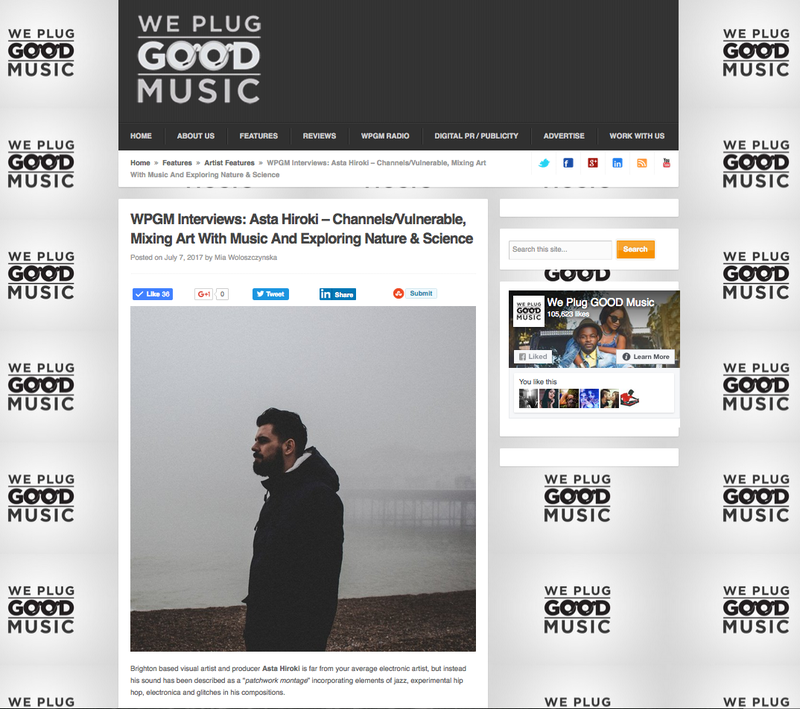 We Plug Good Music have published an exclusive interview and online premieres of both tracks on the new Asta Hiroki double-A single ‘Channels / Vulnerable’. You can check the feature out here. The single will be released on digital and 7″ vinyl formats via Jalapeno Records and features a vocal performance from underground electronica & hip hop pioneer Suzi Analogue on ‘Vulnerable’ – it’s available for pre-order here right now on Bandcamp.